The 2013 relaunch of the Berlin Atonal festival signaled the rebirth of a cultural institution and a weighty development for experimental music worldwide. Lost in the pre-techno prehistory of the (then West) Berlin industrial and electronic scene, details on the festival's original eight year run from 1982 to 1990 are surprisingly patchy. Founded by the then-newly arrived Dimitri Hegemann, who would later go on to found UFO, Tresor, and a list of other cultural experiments that would eventually change the face of Berlin as we know it, the festival contributed greatly to dragging the bubbling avant garde underground in Berlin above the surface and cementing its connection to the greater world. Already by 1982 Berlin had for decades been a hotbed of experimental art and music, but its status as a foreign-controlled city-state isolated behind the Iron Curtain had created a certain atmosphere that led overseas musicians like Iggy Pop, David Bowie, and Brian Eno to use it as a refuge from personal and professional pressures. They were also intrigued by innovative new developments in German music, beginning with krautrock and kosmische electronic music in the late 1960s and continuing with the Neue Deutsche Welle in the late 1970s, all of which had a strong representation in West Berlin's burgeoning avant garde scene. A longstanding economic depression, due in part to the city's isolation, had also created ideal conditions for experimental arts movements and cultural experimentation. By 1982, with the start of German industrial music in the form of the Berlin-based Einstürzende Neubauten (founded in 1980) and DAF (who were founded in 1979, relocated to London in 1980 and were legitimate pop stars in the UK and Germany by 1981), something defiantly new was moving in German music, and parallel developments in the UK lent extra momentum to the movement. The strong shared interest in similar ideas – "Neue Welle" is, after all, a "New Wave" - had fostered conditions for cultural exchange, but it was in need of someone to raise the stage upon which these events would take place. Enter Hegemann, whose interest in cultural innovation had begun before his move to Berlin, but who found his ideal canvas on which to experiment with new ideas in the city. Stringing together threads of collectivism and a developing taste for avant garde music that was to become vastly influential, he connected the dots between upcoming acts like Psychic TV, Coil, Neubauten, Test Dept., 808 State, Die Haut, Laibach, Z'EV and many others, to coalesce what was rapidly becoming a continent-wide movement. Both Atonal and the music it supported grew yearly, but the fall of the wall and the nearly-simultaneous arrival of acid house and Detroit techno in Berlin signaled even more profound cultural shifts, and Hegemann took the situation in his grasp by participating in the founding of UFO, Berlin's first acid house club, in 1988, which served as a trial run for his greatest accomplishment, the monumental Tresor club and label, both of which entered operation in 1991. Much of the rest has been well-covered by the history books. But shifting climates in Berlin - which included the closing and reopening of Tresor in a new location, and shifting waves in modern music towards industrial and less strictly functional dancefloor music - have brought a renewed interest in the values that Berlin Atonal initially stood for, even as Berlin remains unassailable as the 24-hour techno party capital of the world. Again there is cultural exchange, as many of the world's leading electronic musicians made Berlin their home, but the overwhelming dominance of house and techno in the city often pushes esoteric ideas to the margins. Berghain, currently the front-running name in Berlin clubs, has shown interest in promoting more experimental music on its Friday and off-nights but remains deeply committed to the techno and house that made its name. Tresor as well is firmly dedicated to the purpose that it originally made for itself, even as the names have moved with the times. Events like Samuel Kerridge's Contort series and Hardwax's Wax Treatment, along with the upsurge in bass music focused nights, show that there is curiosity, but remain on the relative fringes. This aside, the climate of crossover and restlessness between noise, industrial, techno, and experimental sounds has taken root from New York to Tokyo, and is drawing attention from curious listeners and musicians whose interests bridge the avant garde and the club. The breaching of technological frontiers in performance and composition has seen development of new tools progress at a rate never seen before, and the audience for beat-driven electronic sounds has simultaneously grown to an unprecedented size, which has allowed those currently pushed to the edges greater notice than they were afforded before. Techno in its strictest form may be receding as the appointed music of the future, but improvisational techniques in electronic performance and falling genre barriers are provoking a new openness that needs a larger stage on which to show its full breadth. As in the first era of Berlin Atonal, there is a need to connect these disparate threads that are spread across scenes and continents into something coherent for them to be better understood. Now in their second year and with a typically thought-provoking line-up, they're well-positioned to make that a reality. The festival opens this week, on August 20th. So in advance, the Quietus took the opportunity to interview founding father Hegemann and the current creative directors of Berlin Atonal via email, to fill in historical gaps and to put their vision into words. I'm interested in the continuity between Atonal, as it has been relaunched, and Atonal during its first era. Was there a specific inspiration for the first era of the festival, or was it simply seeking the unknown? Dimitri Hegemann: Somehow both. We wanted to bring together all the protagonists of the independent scene in Berlin, and that was an adventure in itself as an organiser. What appealed to me was the opportunity to present all the projects on one stage. The press at this time called this indefinable and ungroupable noise-sound the "Berlin disease". Actually John Peel featured the festival a lot in his radio show, but I did not know this at the time. In the intervening decades, German industrial and electronic music from the '80s has become quite famous, but I'm interested in how it was received at the time. Was there a substantial scene for this? How large or small were the average events in comparison to the scale of the festival as it progressed? Is it a case of reciprocal growth, or did one outpace the other substantially? DH: It was a counterweight to mainsteam, programmed music of the German new wave and so on. It developed a new scene, mixing punk, industrial no wave or whatever which coalesced in certain places like Risiko. These people were independent and developed their own style, methods and means of expression. There were likeminded people in other cities like Sheffield, New York etc. and they were cross-inspirations. The music was so powerful and the potential so great that it became formative. There is little documentation about the early editions of Atonal. What in your mind were some of the highlights? I have heard the story about Einsturzende Neubauten and the jackhammer accidentally going out of control backstage… That is quite full on. What are some other moments that stand out? DH: Of course, Einstürzende Neubauten and the jackhammer in SO36. But also Psychic TV, Z'EV, Test Dept, Club Moral, The Anti Group, Laibach, Minus Delta T, Clock DVA and other well known acts of the time. Also Berlin groups like Sprung aus den Wolken. The original series of Atonal festivals did a lot to coalesce the noise and industrial avant garde in Berlin and worldwide into a more cohesive movement, which sent waves through later history. From your point of view, what impact did your work have both in its immediate aftereffects and in its continuing influence? DH: I was, and still am, some kind of researcher of possibilities. I did things for the same reasons as many others: for pleasure and interest in the music and art, to give artists space and opportunity to develop. It was not planned, some of it was a lucky combination of taste and practical sense, with good results. I was proud to have helped people like Jeff Mills and the Detroit techno scene to break through, as well as all the other musicians that we have helped, and the locations that we created that became internationally known, and that together helped Berlin become an influential city in the world. That's probably my long-term success, since the Atonal festival in the 80s, the Fischbüro (UFO Club), and all that followed. Much like in Detroit, techno, house, Tresor, and all of this thoroughly rewrote the history of Berlin such that it overshadows what happened before, including the original Atonal festivals. What other cultural movements from this era do you feel were important and contributed to your work in this time, but have been written out of history by the changes afterwards? DH: The many squatters in the early 80s, and the 1981 Festival der Genialen Dilettanten. The first series of Atonal festivals ended the year before Tresor started; of course Tresor was a massive undertaking and must have consumed your mental and physical resources, and the reunification drastically changed the cultural climate in Berlin. In your mind, what factors played the most major roles in ending the first series of festivals and moving on to other projects? Had it run its course? DH: New sounds like acid house, the fall of the wall, the resulting collective euphoria. The new freedom for East Berlin was the condition for something new. People wanted to dance. Perhaps the shape of the festival was no longer appropriate. With DJ culture and parties, a new era had begun. Relaunching the festival comes at a time when a lot of dance music has again started becoming more experimental, and also attracting a larger audience in many places in the world. How would you characterise the parallels and the contrasts between the current artistic and social conditions and those that existed at the time you started this? DH: Techno is now 25 years old. The passion that begun the techno movement was a drive to discover new things. As our world has become more complex so too does the spectrum of styles – music is no exception, it has become larger, more internally differentiated, more complex. Harry, Paulo, Laurens and I still want to present a wide range of international artists. The musical idea that animated Atonal has also changed, but the willingness to understand and process the serious new impulses of the art remain. This leaves Atonal the leading festival for serious new forms of expression in sight and sound. As for the social elements, still nothing falls from the sky. Hard work is still required. The old West Berlin times are past. Any era brings its own advantages and disadvantages. However even if certain things were easier in the past, the current time also presents opportunities that were not available back then. I'm aware that the new Atonal festival is under the creative direction of a this trio of younger talents – Harry Glass, Laurens von Oswald, and Paulo Reachi; Dimitri serves as a guide and inspiration. Could the new voices please tell us a little about their backgrounds? Berlin Atonal: Laurens is a musician and studio engineer who met Paulo through a project they worked on together in the latter half of 2012. Paulo has been running Tresor Records for the last three years (among many other things). Soon after the idea to restart the festival came about, Harry joined. We all independently were and are working on a few other projects which seem to culminate with the festival. We have a lot of shared interests and the festival has definitely become an outlet for these. I was there last year for the first of the festival's new editions, and I was quite impressed by the scale and ambition of it. How would you critique your own work as far as what you felt was most successful and what you learned from the experience? BA: The power plant, which hosts the festival, is a place that you can discover over and again. Last year's edition served as an important learning experience for us three. We are not seasoned festival organisers, but we definitely knew what we wanted to a certain degree. We are very quick to criticise our own work, so hopefully that means we know a bit more about what we want now, and we're confident that this will be on display at this edition. The venue plays a major role in the planning of everything – from inviting artists to visit the space to trigger ideas, to the way the lighting and technical set-ups are designed and executed. The venue definitely acts as a springboard in many regards. We also learnt a lot about what sound works and what doesn't – so we did a lot of trimming in that regard and pushed in certain directions. Following on the previous question, what performances, installations, talks, or events from last year did you feel were the standouts and why? BA: We really enjoyed listening to Paul Jebanasam and Eric Holm, the latter of which went on to release a fantastic album this year on Subtext. Also Raime filled the room very powerfully. And the Murcof and Simon Geilfus show also felt very special. Vladislav Delay and Kangding Ray both created an incredible atmosphere which worked very well together. They really took advantage of the setting and set out to do something different, which came across fantastically. Also Jon Hassell's Summerthrill concert had an almost colossal force without ever being 'loud.' The whole audience seemed softly transported to some nicer dimension. Clearly there is some aesthetic shared between the current incarnation of Atonal and its original vision, which was sociopolitical as well as musical. I feel the resurgence in bleak noise and industrial music in the contemporary era directly references the challenges of contemporary culture. What are your thoughts on this? BA: Political and artistic values seem to be more separate now, compared to when the original editions of Atonal happened. What would a specifically 'political' type of music sound like? Or what would a music festival with sharply political content look like? Perhaps the groups of people interested in a festival like Atonal are too polytheistic for a common political or social program to be possible or even desirable. On a more concrete level, it is probably impossible to separate the artistic taste of a musician from his or her surrounding influences, so there will always be some sort of feedback loop between social concerns and musical directions, but it's not something that we set out to emphasise directly. Berlin has become well known for quite specific interpretations of house and especially techno over time, but now many emerging Berlin-based artists are becoming interested in harsher noise and industrial music and receiving notice worldwide for it. How would you gauge the impact of this within Berlin? Has it achieved wider notice yet, or is it still quite marginalised? BA: In a sense these connections have always existed. 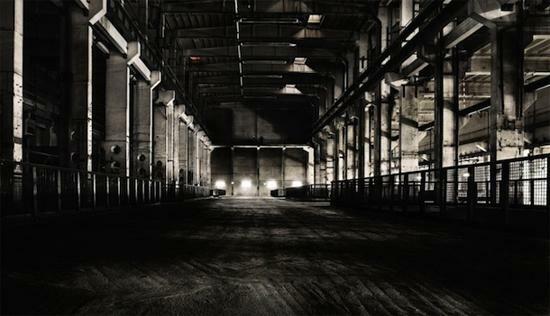 The original Berlin Atonal festivals show this shift in reverse – industrial, punk, noise etc, eventually turning into techno and electronic music. Back then the sounds weren't as divided and separated, and the divisions didn't exist so much. The movement's impact is undeniable though, and in a sense Berlin has always been an important centre for it. A lot has happened here in the past and the current impulses we're experiencing are definitely an extension and progression. A lot of great stuff is happening and trying to resist laziness. It's leaking into a lot of different musical directions and creating a really rich field of hybrids. Techno, house, and club music tends to overshadow other things happening in Berlin for outsiders looking in. What other musical or cultural movements in Berlin are you seeking to shine a light on via your programming for this festival? BA: The festival is pretty specific in its scope, in what it's trying to achieve. As we've said, a large part of that that has to do with the space – an ambition to fill the unique space with a special sense of what is possible as a performance in sound and vision. I think it would be misplaced to see the festival as trying to perform some larger functional role outside of that. Besides industrial music, what other contemporary musical directions have aroused your interests most strongly and seem significant to you? BA: A lot of what we program tends to be directly related to what we find significant, and also tends to almost always be very closely related to our own taste. Broken UK dance music, sparse rhythmically driven techno, melodic minimalism in synthesised music – these have all been directions of our recent listening, and I guess each can be seen in the programming to some extent. Tell us a little about this year's program. What new projects or collaborations are you particularly excited to see come to fruition? BA: I suppose the obvious twin peaks of the festival are the opening concert with Ensemble Modern and Synergy Vocals performing one of the most interesting and striking compositions of the last part of the 20th century - Steve Reich's Music For 18 Musicians - and also the first Cabaret Voltaire performance in over twenty years. But between these two, there are so many things that we are excited to see unfold. The End Of All Existence for its world premiere outing, Imaginary Softwoods for the first time in Europe, Powell in the vault for an aftershow party… And I think we're all going to want to be there when Source Direct gets on the wheels of steel to close the festival. Donato Dozzy & Nuel will also present a live performance of the Aquaplano Sessions for the first time ever – the records really struck a chord with all of us. Also New Zealander Fis will be doing his first AV show which is set to be pretty special. There is also the first appearance of the 4DSOUND system in Berlin, with the commissioned performances of Murcof, Senking, Biosphere and Thomas Vaquié.